Microsoft has finally begun rolling out its long-awaited 'NoDo' update which sees Windows Phone 7 handsets get copy and paste for the first time. There has been no official announcement about the update, but some users have reported that the update is ready and waiting when connecting to the Zune software on a PC. It looks like only European handsets with no network tie-in are getting the update at the moment so if that sounds like you then it might be worth connecting your handset post haste. We've contacted O2, EverythingEverywhere, Three and Vodafone to find out when their customers can expect to get in on all that convenient copy and paste action too. Other exciting updates included in the software refresh are: faster apps and games, better Marketplace search and improvements to Wi-Fi, Outlook, messaging, Facebook integration, the camera and overall handset performance. 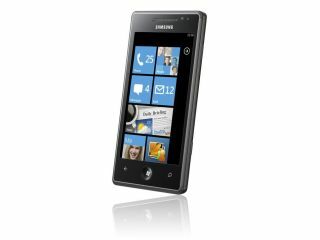 The first Windows Phone 7 software update was released in February 2011, and caused problems for some handsets. Microsoft cites ensuring this doesn't happen again as one reason for the delay to the 'NoDo' update which was originally expected to hit in January 2011. Eric Hautala wrote on the official Windows Phone blog earlier this month, "I believe it's important that we learn all we can from the February update. So I've decided to take some extra time to ensure the update process meets our standards, your standards, and the standards of our partners. "As a result, our plan is to start delivering the copy-and-paste update in the latter half of March."